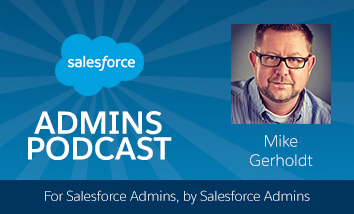 Today on the Salesforce Admins Podcast we’ve got the one and only Mike Gerholdt with us to discuss his TrailheaDX presentation on navigating your Salesforce career. More about this Insights session: why building a career is more like collecting puzzle pieces than following a map, and the advice that Mike gave to his friend who is looking to change careers. You should subscribe for the full episode, but here are a few takeaways from our conversation with Mike Gerholdt and Gillian Bruce. Connecting the dots of a career. Mike’s advice if you’re just getting started. 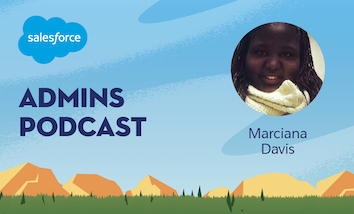 So Mike sat down to put together some links to get his friend started with Salesforce. The first link he included was to the YouTube video about Ohana culture because that’s really what it’s all about. The next few links were for Trailhead, a Trailmix, an explainer about what a Trailmix is, all that. 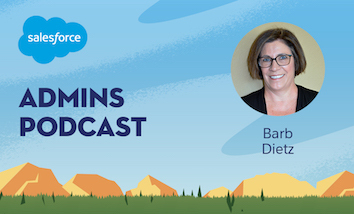 But to wrap it all up, Mike included two Trailblazer stories: the amazing video about Mark Tossel, and the Salesforce Admins episode where Mike interviewed Zach Otero. The point being, if these people can do it then you can too. Step back and learn from top to bottom. “As you’re navigating your career, a lot of people only think about how to get to the next rung, but you forget that sometimes the rung you’re at is pretty awesome,” Mike says. Getting farther in your career will come, but you also need to enjoy where you are right now. We want to remind you that if you love what you hear, or even if you don’t, head on over to iTunes and give us a review. 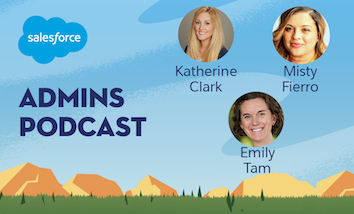 It’s super easy to do, and it really helps more Admins find the podcast. Plus, we would really appreciate it.